John P Fulton was born on the 4th of November, 1902 in Beatrice, Nebraska. 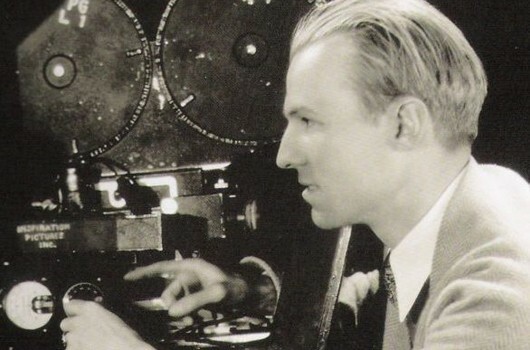 Starting his cinematic life as an assistant cameraman, he secured a job in the special effects department at Universal, where he worked on movies such as Frankenstein (1931) and The Mummy (1932). The stunning effects he created for 1933’s The Invisible Man were like nothing audiences had seen (or not seen) before; he was involved in the effects for three of the movie’s sequels, and was nominated for Academy Awards for each. He also played a key role in 1935’s Bride of Frankenstein and 1941’s The Wolf Man. Later in his career, John P Fulton worked extensively with Alfred Hitchcock, working on movies including Rear Window (1954) and Vertigo (1958). Nominated for four Academy Awards in total, he also went on to win three, the final of which was for his depiction of Moses’ parting of the Red Sea in The Ten Commandments (1956). John P Fulton died on the 5th of July, 1966 in London, having contracted a rare infection while working in Spain. His name may not be well known, but his cinematic legacy is immense.